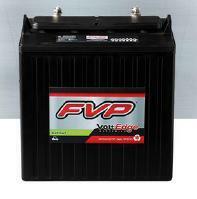 Our FVP batteries match other Golf Cart battery manufacturers batteries of the same voltage and capacity. Please confirm that the battery we have listed matches the battery you are currently using. Existing cables and connectors must be re-used. Available for local pick-up only. Due to regulations, these batteries cannot be shipped to you directly. Pricing is with core exchange. Available for local pick up only.